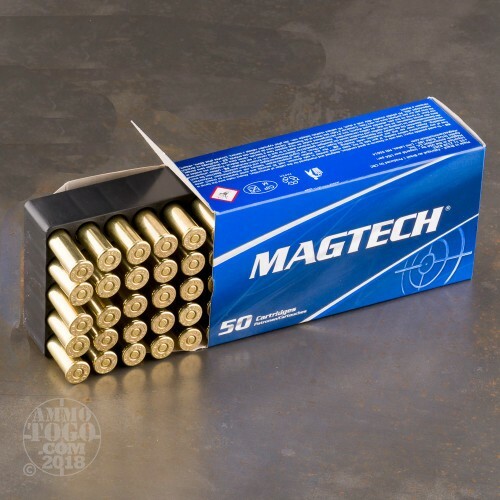 This Magtech .357 Magnum ammunition is 100 percent non-corrosive, boxer primed, and features fully reloadable brass cases. 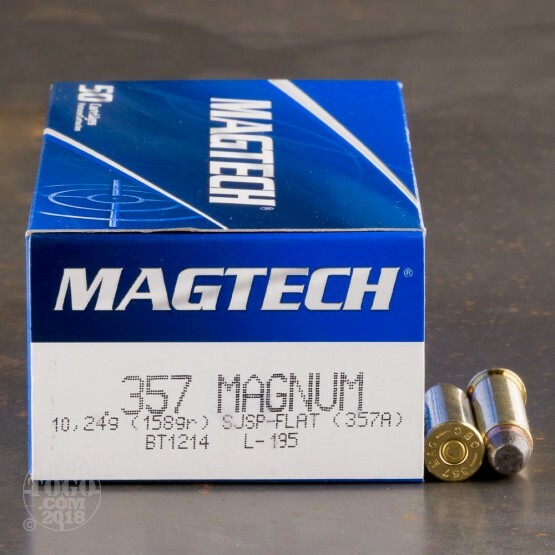 Each factory fresh cartridge is loaded with a jacketed soft point (JSP) projectile that weighs 158 grains. 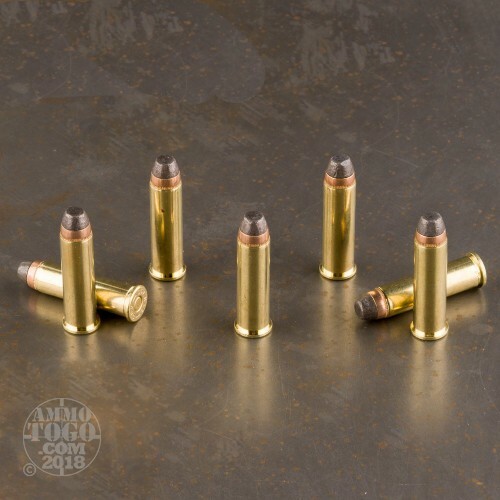 Leaving the muzzle at a velocity of 1235 feet per second with 535 foot pounds of energy, these JSP rounds deliver controlled terminal expansion and excellent accuracy. 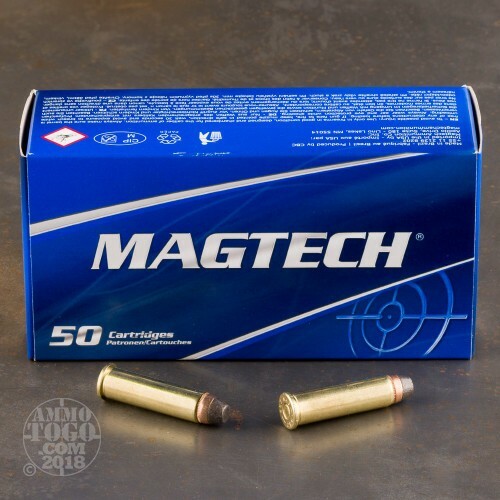 An excellent choice for areas that restrict use of hollow point ammo, these rounds can be used for hunting or self-defense.